Baby Care Expert Rachel Waddilove has compiled a quick, simple and comprehensive list of essentials to take with you to hospital. Please Click the Picture to Download Now! 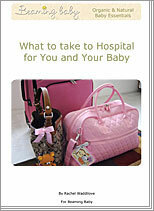 What to Take in to Hospital for You and Your Baby!